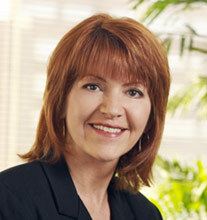 Suzanne Smith is Vice President of Operations and Senior Consultant for Geehan Group. Her experience spans over 20 years in Information Technology, Consulting Services, Management and Operations. While the bulk of her experience lies within in the Financial Industry, she also ported her skills to Telecommunications, Transportation and Logistics, and for the IT giant, Microsoft. Specializing in database design and multi-platform integration, she has led and delivered successful solutions in almost every functional area as well as enterprise-wide initiatives. A founding member of the Geehan Group team, Smith has designed the architecture for most areas of the business while leading and performing virtually every role in the organization, including all aspects of client service delivery and operations. Suzanne is also the Co-Author of Geehan Group’s patent pending D4M Advisory Board Methodology as well as several Geehan Group Advisory Board research studies which have been published in articles by Wharton, American Marketing Association, Frost & Sullivan, and American Executive. 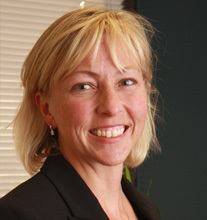 Suzanne holds a BBA from the University of Michigan Stephen M. Ross School of Business. Dan Knowles is a Geehan Group Senior Consultant with experience in marketing and business strategy for over 23 years in multi-national businesses across a variety of business sectors. Dan has delivered initiatives with Geehan clients including Intel, Sun, Springer, Interwoven and LexisNexis. He was most recently Vice-President and Chief Marketing Officer of The Reynolds and Reynolds Company responsible for corporate branding and policy, and all customer-focused communication and promotional activities regarding Reynolds’ products and services. He served as executive sponsor of Reynolds and Reynolds’ Customer Advisory Board and was instrumental in establishing a Professional Relations capability for the company to help better understand and influence industry trends. 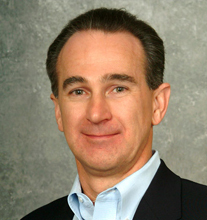 Before joining Reynolds, Knowles spent 14 years in Marketing with Procter & Gamble leading a variety of consumer and health care businesses in the US and Western Europe – including the launch of several P&G therapies for treatment of osteoporosis, one of the company’s fastest growing new businesses. While in Europe, he developed and effectively used the advisory board concept to extend P&G's influence with medical professionals to drive increased sales and market penetration. The model he developed was subsequently expanded to the rest of P&G's European and North American businesses and was instrumental in the successful commercialization of P&G Pharmaceutical business. Allan has over 25 years of experience as a technologist and as a leader where he has gained a unique perspective on what it takes to lead at the executive level on both the technology and business side of a company. He has held critical line and technology roles including serving as the Chief Technology Officer and as the head of the U.S. Research & Litigation product line with full P&L accountability for LexisNexis Group, a global publishing company and a member of Reed Elsevier, plc. Allan is a recognized leader in technology, as evidenced through his selection by InfoWorld Magazine in 2002 as one of the top 25 Most Influential CTO’s in the U.S. and by ComputerWorld Magazine in 2003 as one of the Top 100 Technology Executives in the World. Prior to launching his own firm in January of 2010 as an independent consultant, Allan served as the senior vice president in LexisNexis’ U.S. Legal Markets organization running the largest segment of the $2.5B U.S. operation. Allan and his team grew the business 104% of plan in 2007 and managed to maintain a 2% growth rate during the 2008 economic recession. During his tenure in this role Allan initiated the largest re-invention program in the history of the corporation. 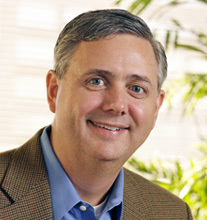 Prior to this role, Allan served as the Global Chief Technology Officer of LexisNexis Group for seven years. In this role he was accountable for research and the development of the online products and editorial systems; operation and support of the back office systems and global data centers; and overseeing the U.S. Customer Support operation. Prior to this, Allan held several positions of growing accountabilities both with LexisNexis and its parent company, Reed Elsevier. Prior to LexisNexis Allan worked in the product and technology development functions for Reynolds & Reynolds (1985-1988) and NCR Corporation (1976-1985). Allan received his MBA degree from the University of Dayton and his Bachelor of Science degree in mathematics from West Virginia Wesleyan College. 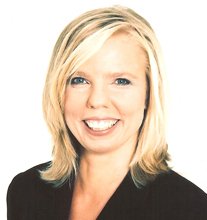 Annette Moench is located in Munich, Germany and delivers executive and business level facilitation and coaching services throughout Europe for Geehan Group. Annette is the founder and managing director of moench networks gmbh – life and business transformation- - an independent global network of systemic consultants, coaches, facilitators and trainers. Her focus areas include designing and conducting executive management conferences, advisory boards and strategy workshops, organizing and facilitating staff retreats, delivering business transformation programs including diversity, leadership development and executive coaching. Her clients include international organizations like Allianz, Areva, Nokia, Netcos, Siemens, the EU and the UN. Annette has a proven track record of 17 years of management and leadership experiences with various international companies (Siemens, GPT CSL (U.K), SBCS (Thailand) and in different business fields, including telecommunication, IT services, automotive and consulting. Her experience is includes sales, organizational development, SW-engineering, process consultancy, change management and mergers and acquisitions. During this time she has led and accompanied numerous projects in more than 25 countries on 5 continents. Because of her profound international business experience, her capability to inspire people and to look behind the scene she is frequently asked to speak. Prabu Naidu resides in Singapore and delivers executive and business level facilitation and coaching services throughout the Asia Pacific region for Geehan Group. Prabu is highly connected and networked throughout Asia as he has formed the Facilitators Network of Singapore and has trained hundreds of facilitators with proven methods and approaches. 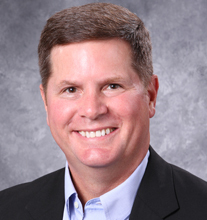 His experience includes facilitation with advisory boards, designing and delivering organizational development interventions including insightful executive coaching, conflict management, team-bonding, culture-shaping, diversity appreciation, performance management, strategic planning, Relationship Awareness™ and Open Space Technology/ Project Management. Prabu has 30 years of business and organizational development experience, including time with Philips, AT&T and Compaq in diverse functions including engineering, materials, project management, TQM, HRD, managing change and supply chain re-engineering. His direct business experience set the foundation for the 11 years of training, facilitation and consulting work in organizational development he now possesses. Andi Roberts is a Geehan Senior Consultant and resides in the Thames Valley in the United Kingdom, providing a combination of coaching, training and facilitation. Andi brings extensive international experience to the Geehan team, having delivered projects throughout Europe, the Middle East and South America. Andi speaks fluent English and Spanish having lived and worked in various regions of Spain for 15 years as well as carrying out extended projects in Latin America. He also speaks French and Italian. While Andi has worked with a broad range of sectors, he has significant experience in IT, automotive, pharmaceutical and local, national and European government. Andi’s clients have included IBM, T Systems, GM Europe, Hyundai, Fiat Group, Lilly, Bayer and the European Commission. Andi has worked in leadership positions in a range of companies including Course Director for the management development centre of a Fortune 100 organization where he was part of the team that set up the training centre, developed core curriculum for internal and external clients as well as supporting day to day operations and sales and marketing functions. He also has experience in Human Resources in a health care company and a partner in a corporate events and conferences company developing and managing a range of innovative sales conferences across Europe. He also has experience in providing experiential learning in the areas of sales, change management, leadership and management development. Andi holds a professional certificate in management, professional diploma in management and a Masters Degree in Business Administration focused on business strategy, innovation & change, knowledge management and strategic human resource management. He is also a trained business coach through Corporate CoachU’s Advanced Corporate Coaching Programme and a trained facilitator through a Fortune 100 corporate university. As Operations Coordinator Donna works directly with our executive leadership team to foster quality relationships with our clients. Donna joined our team in 2015 after a twenty five year career in finance and long-range planning, most recently at Procter & Gamble where she managed the global budgeting process for several Research & Development business units. Prior to P&G, Donna worked for privately held businesses in the Dayton area, including The Iams Company, Danis Industries, and E.F. MacDonald. Along with her financial background, Donna brings to Geehan Group her technical skills in database development and digital design. As a life-long resident of Ohio’s Miami Valley region, giving back to her community has always been central. Donna has been an active volunteer and supporter of many human services non-profit organizations in our area such as Miami Valley Reads, Goodwill Easter Seals, and Hospice of Dayton. She currently serves as the founding President of the Cincinnati-Dayton Chapter of Canine Companions for Independence, a provider of assistance dogs to people with disabilities. 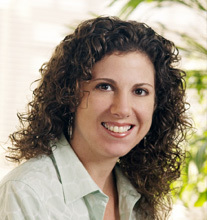 Karen Battist joined Geehan Group in the spring of 2010 and currently executes marketing planning and social media strategy for Geehan Group. 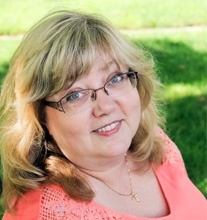 Working directly with the leadership team, Karen assists with marketing activities, including collateral development, social media efforts, website development and maintenance, public relations, and executive speaking engagements. Karen has an extensive background in project management with over 25 years of experience in project planning and customer communications. She holds two Bachelors degrees from the Rochester Institute of Technology in Illustration and Science.